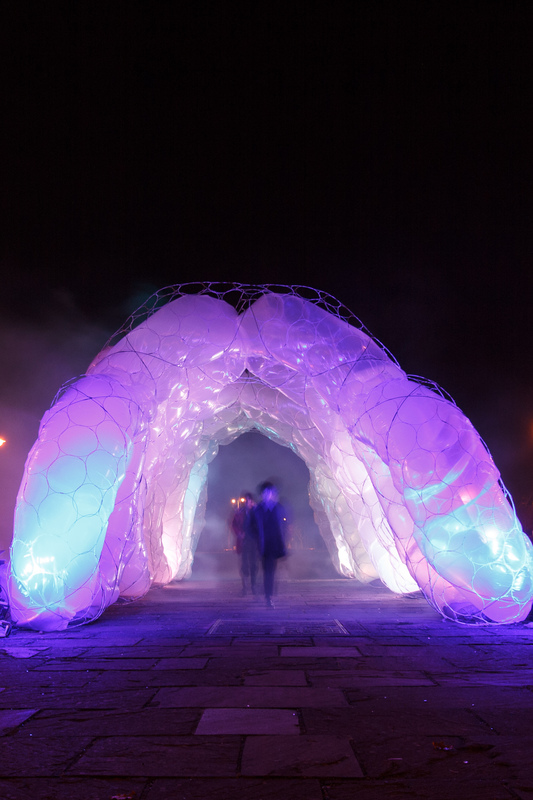 Atmeture is an ephemeral luminous architectural tunnel that draws visitors into an open and animated form woven from lightweight fibres. 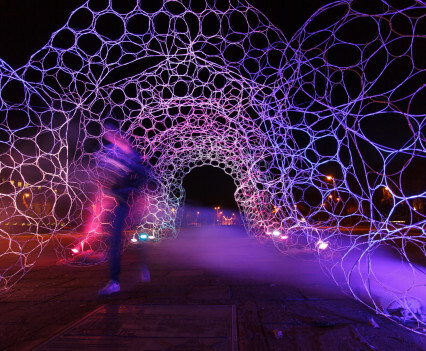 The geometric latticework is performed when filled with transparent inflating membranes that are animated by being pumped with air, reminiscent of breath. 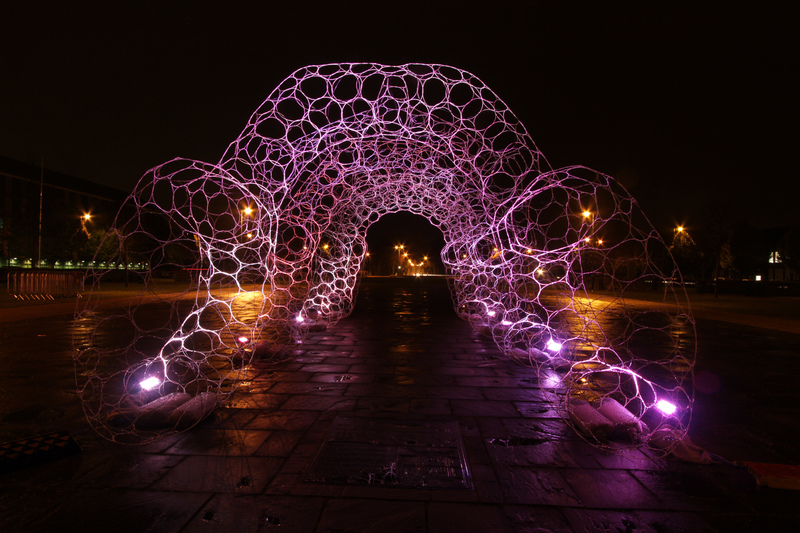 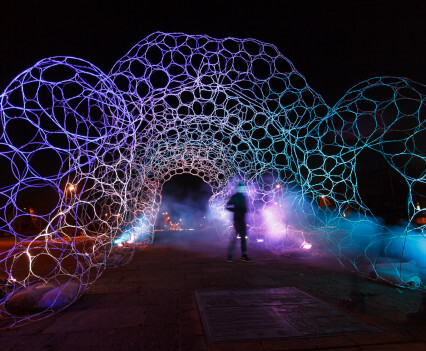 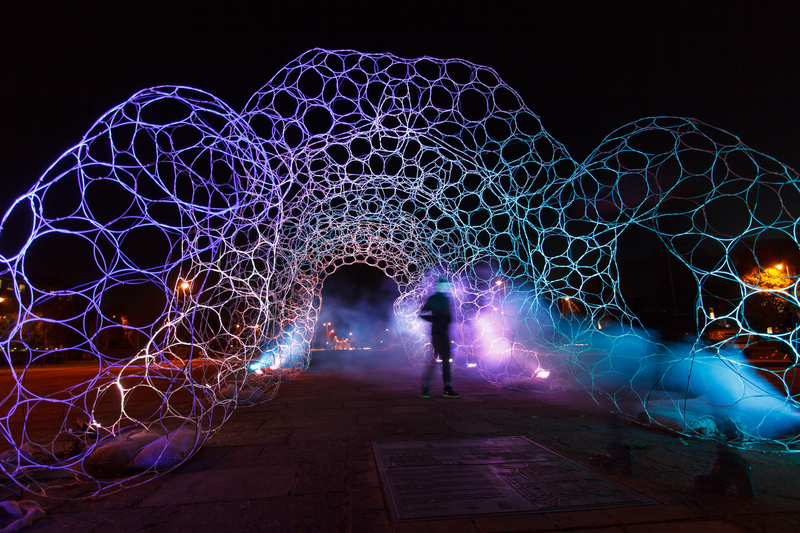 The structure appears alive and breathing as it’s rhythmically filled with swirling smoke, changing the opacity of the structure. 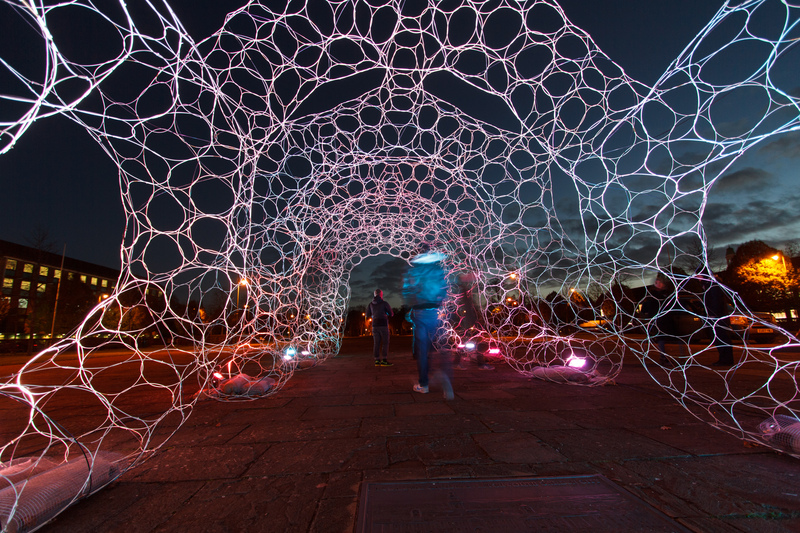 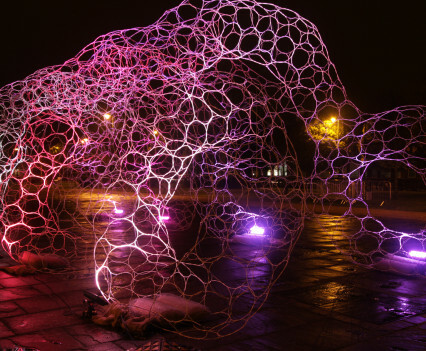 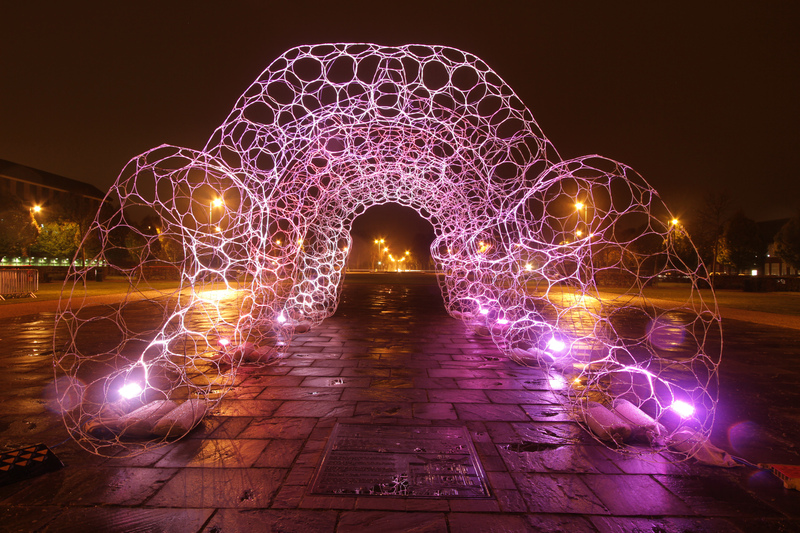 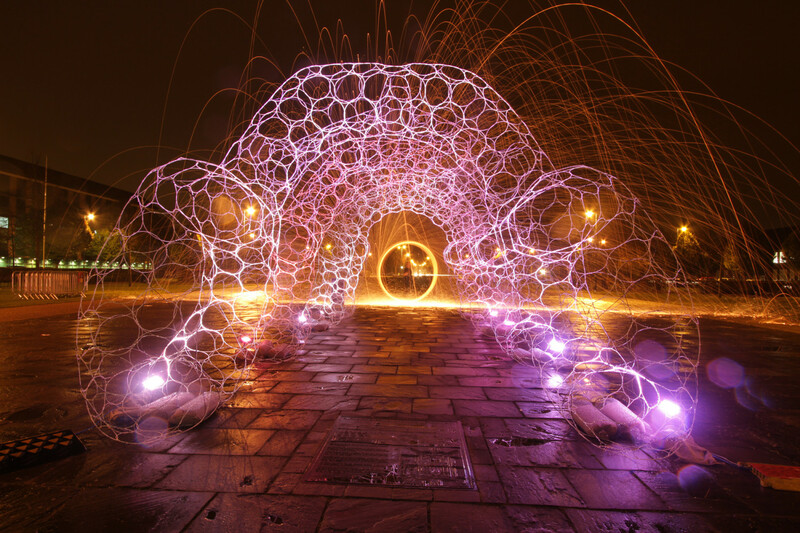 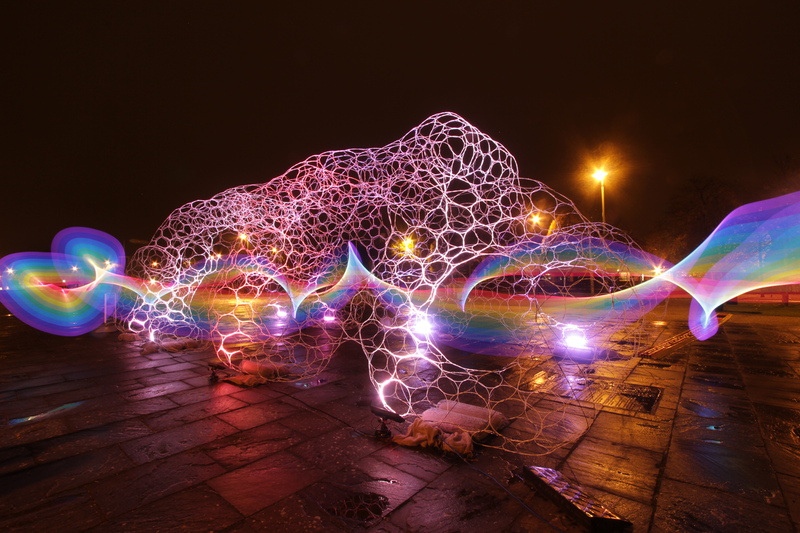 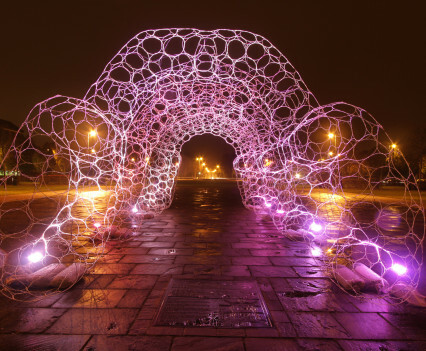 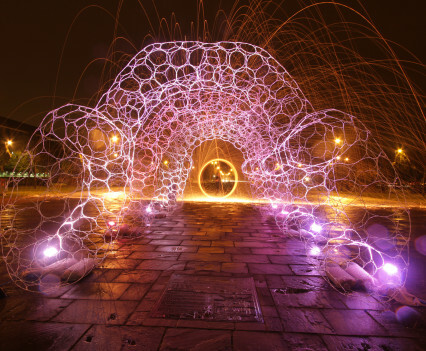 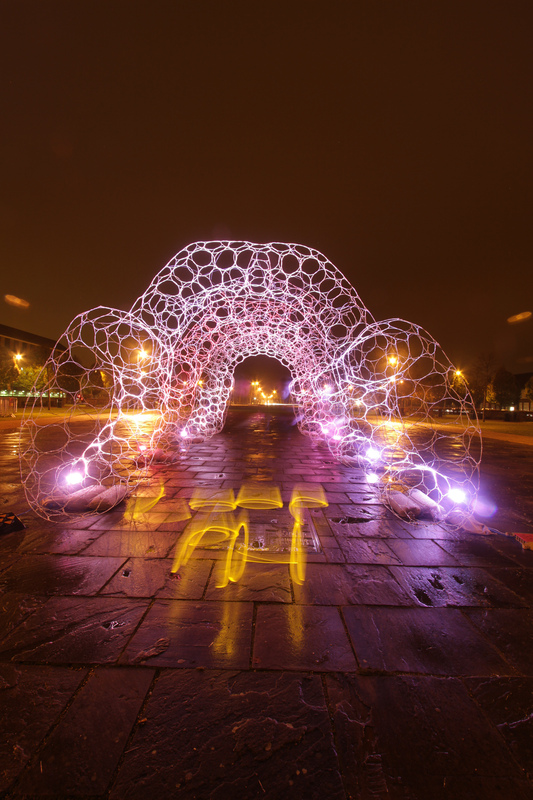 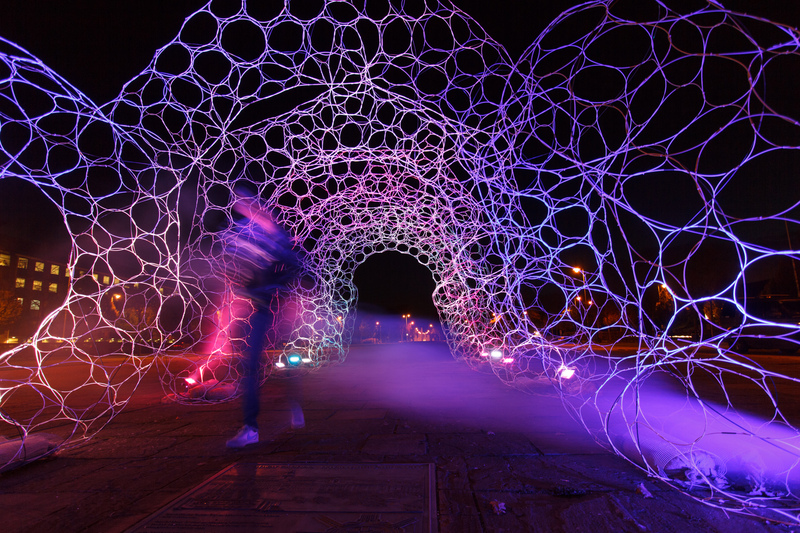 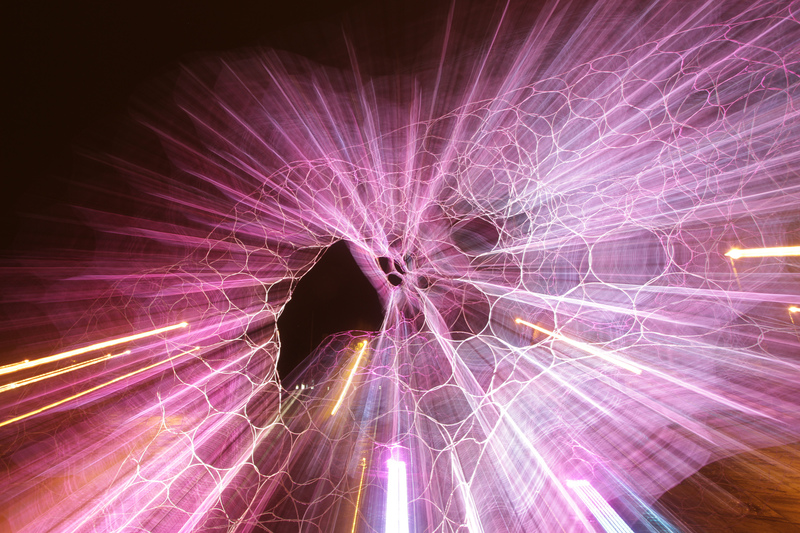 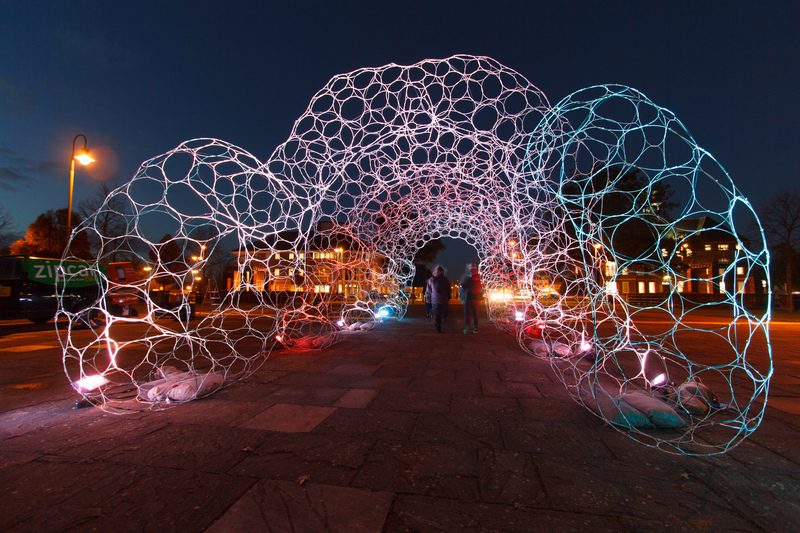 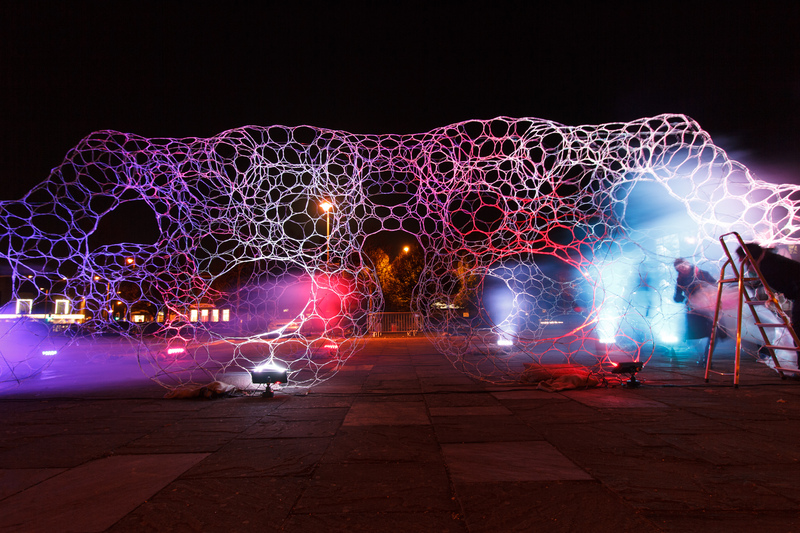 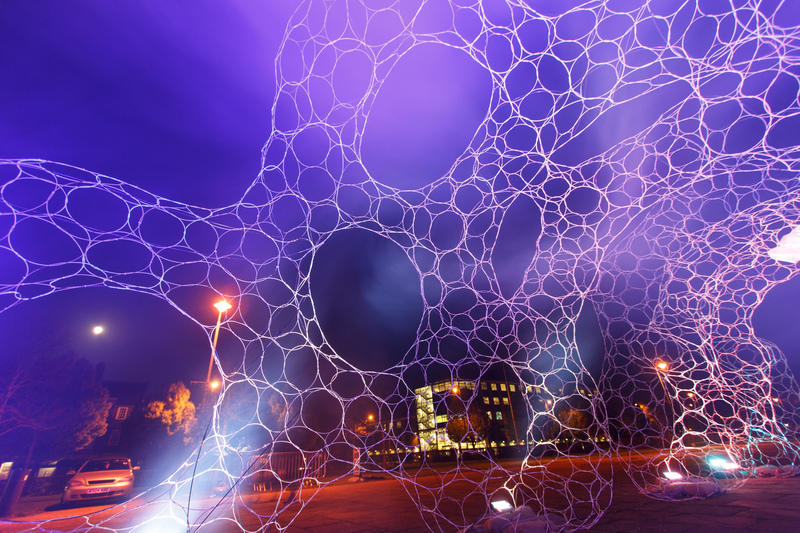 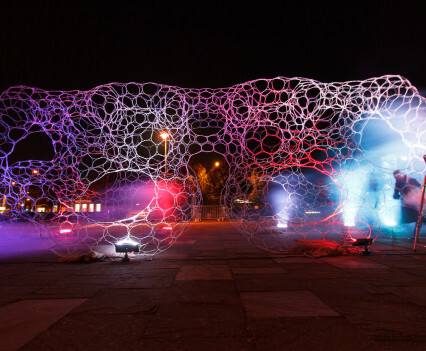 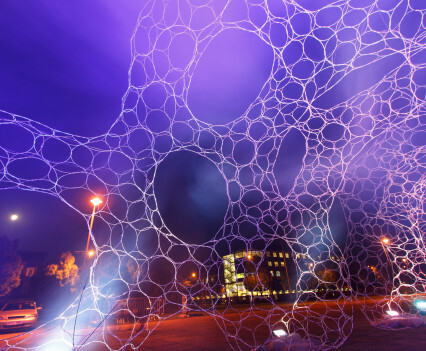 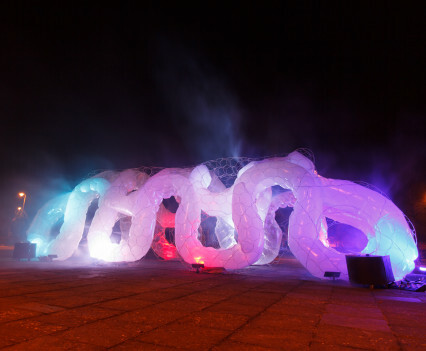 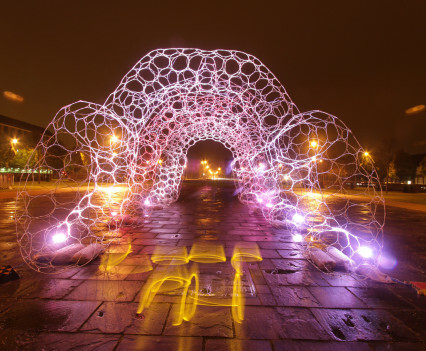 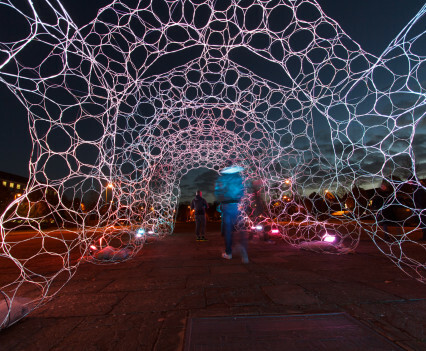 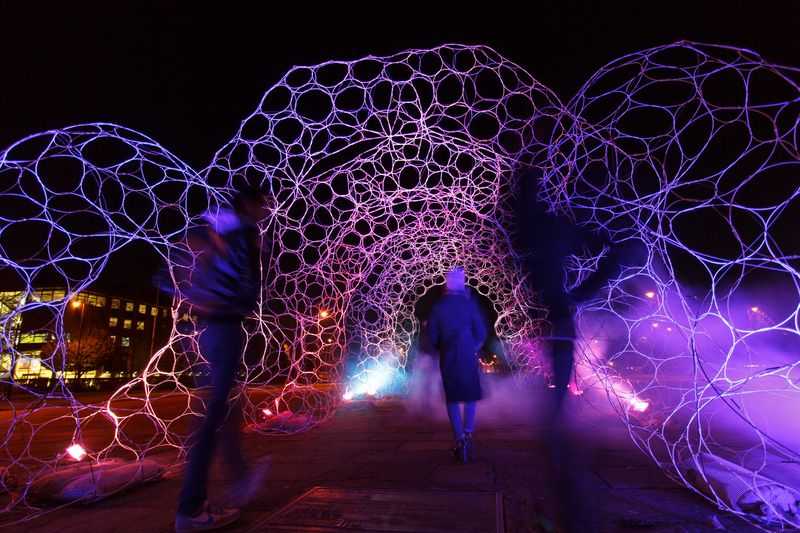 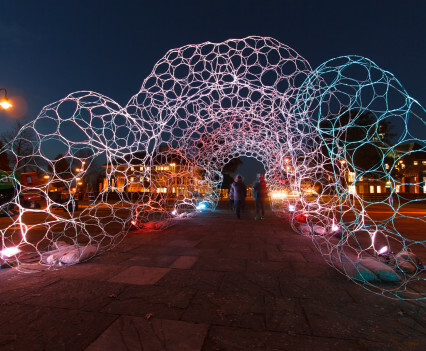 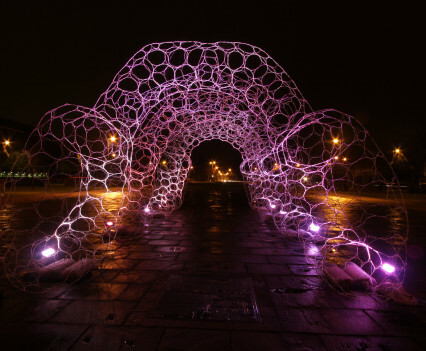 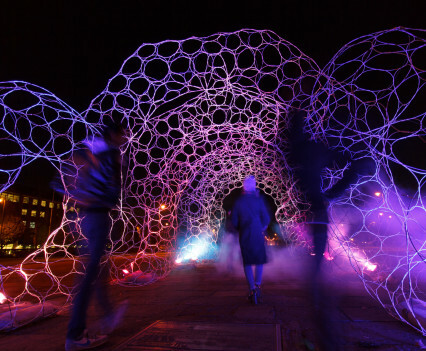 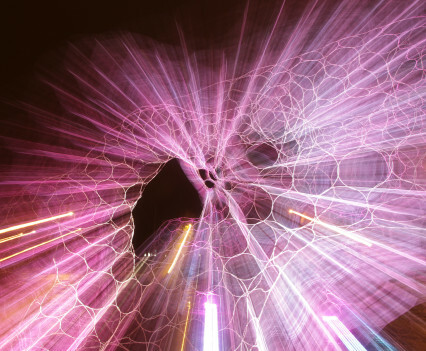 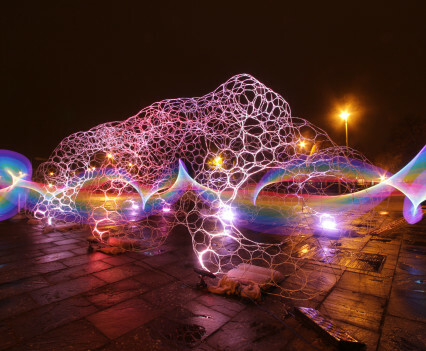 Atmeture was commissioned by onedotzero for Letchworth Garden City Heritage Foundation for the inaugural Letchworth ‘Fire & Fright Festival’, which ran from October 28 – November 5 2014. 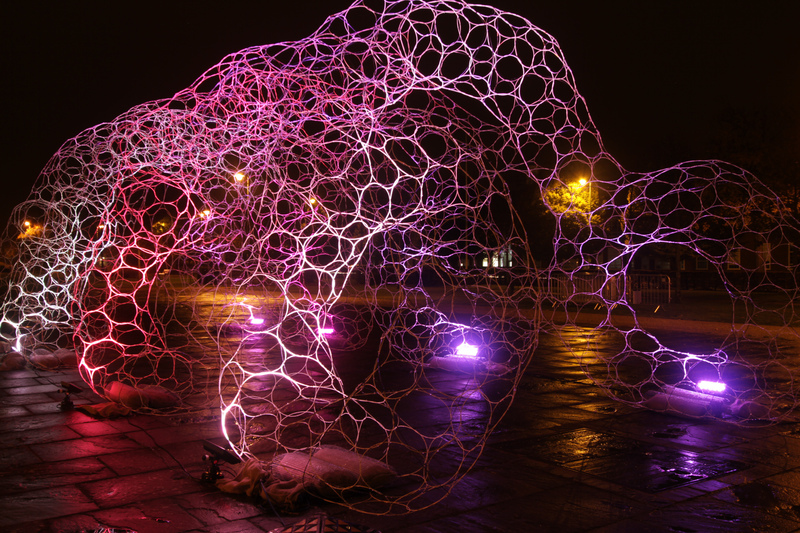 Atmeture was constructed on Letchworth’s Broadway Gardens, and acted as a centrepiece for the Fire & Fright Festival. 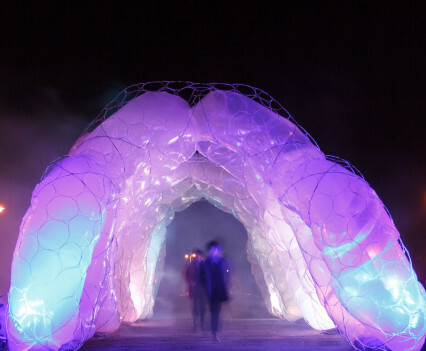 Constructed out of their innovative Archilace technique, ‘Atmeture’ animated on key nights of the festival with transparent inflatable membranes that created an effect of dynamic breathing architecture. 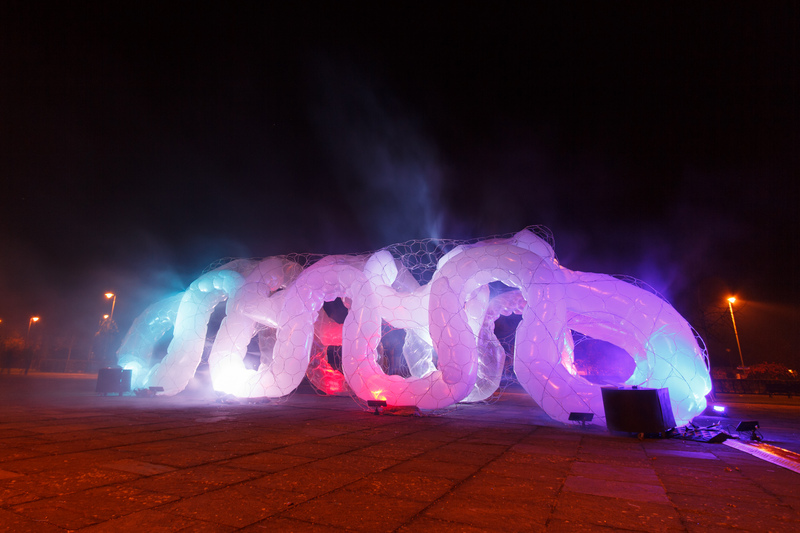 With thanks to an amazing team of volunteers who made this happen in record time!